UPDATE: We made it!!! And in under 8 hours, I think. Wow. I have spoken with Papa Mage and he will contribute any excess amounts to the Ronald McDonald House in Durham & Wake . Rhino and his family are able to be together during treatment periods due to this fine organization and its good work. What a fine showing from the Magic Community. Thank you to all the "names" who provided the signal boosting and everyone in the community! We see people choosing to donate instead of buying a booster, all the way up to community cornerstone businesses like TCGPlayer and CoolStuffInc. being so very generous! 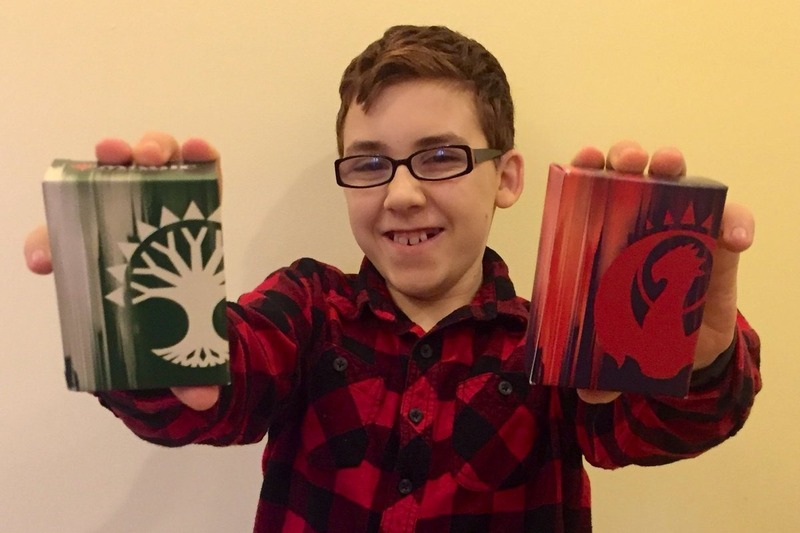 One of the Magic community's youngest and best representatives, Rhino, MTG Youtuber and Traveler , otherwise known as Young Mage, needs our help. Rhino has been fighting the good fight against epilepsy. You may have participated in his own successful fundraiser for the Epilepsy Foundation. Recently Rhino had two Grand Mal / Tonic Clonic seizures that were significantly stronger, more serious, and more frightening for his family. This kind of seizure normally lasts for around a minute, but Rhino's were closer to 5 minutes long. 1 in 26 people will experience a seizure in their lifetime. Of course, Rhino doesn't let anything stand in his way. He's up and dancing, living life and having fun! Rhino's insurance covers all his hospital costs and access to treatment. But he requires constant surveillance while he sleeps. One of his parents is at his side at all times during the day, and they are also up all night watching him on a borrowed video infant monitor. We're trying to raise enough money to provide this family, who have given so much to our community and others, a strictly better solution. An iOS application called SeizAlarm along with an Apple Watch and iPhone to continuously monitor Rhino, and help his family and physicians manage his illness. I know that it's difficult to find that extra bit of money during the holiday season, but this is a time for giving. And I can't think of anyone to whom I'd rather be giving a gift!